October 10, 2018 – Due to the increased threat of impacts to the region because of Hurricane Michael, Santa Fe College will CLOSE at 3:30 p.m. Wednesday, October 10. 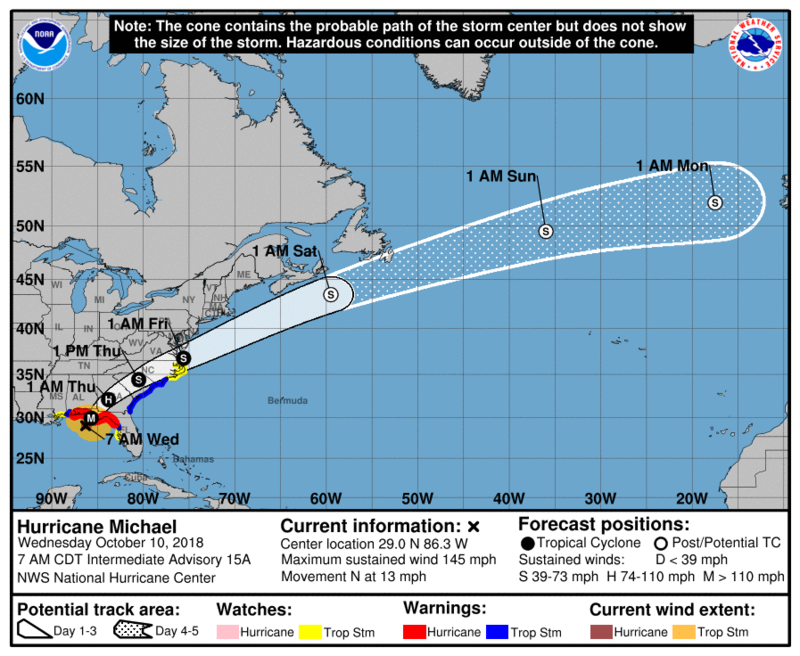 October 10, 2018 – Santa Fe College Emergency Management officials will continue to track the path of Hurricane Michael. The college remains open for classes and normal business. We encourage all SF students, faculty and staff to take whatever precautionary measures they feel necessary to ensure their safety. There is an elevated risk of tornadoes in the region. If a tornado warning is issued, you should move to a lower-level interior room that does not have windows and shelter in place until word is given that the threat has passed. For additional information about tornado safety, visit https://www.ready.gov/tornadoes. If you are unsure about a safe location in your work environment, please contact the SF Police Department at 5519 for assistance. 4. Verify listed information is accurate. If changes are needed use the update, delete and add buttons accordingly. Dr. Sasser encourages all employees to contact Human Resources if there are any concerns about reporting to work. Please remember to contact your supervisor. Human Resources is available to help answer any questions that you might have; contact Lela Frye at lela.frye@sfcollege.edu or call 352-395-5185. Visit the Florida Disaster website for information about shelters, road closures and evacuation routes. Visit the National Hurricane Center for the latest updates on Hurricane Michael.